Suzuki has announced a special trade-in weekend on August 17-19, where owners can trade in their current motorcycle for a new GSX-R1000R, GSX-S1000, or GSX-S1000F, and benefit from £1000 towards the deal. Suzuki dealerships will accept any make or model as a trade-in, and as well as benefiting from the £1000 extra, customers will also be able to take advantage of Suzuki’s current low-rate finance offer, which allows them to choose from two, three, or four-year deals with an APR to match, and whether they opt for a PCP deal or hire purchase agreement. 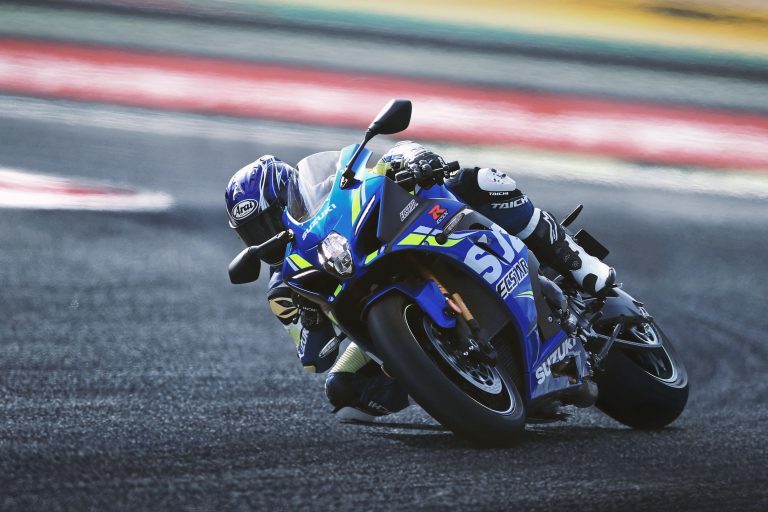 The GSX-R1000R gets the same variable valve timing system as the GSX-RR MotoGP prototype to produce both impressive midrange torque and peak power, and also gets a comprehensive suite of electronics including 10-stage, lean angle sensitive traction control, launch control, quickshifter and auto-blipper, and cornering ABS, with suspension coming from Showa’s race-proven BFF front forks and rear shock. The GSX-S1000 and GSX-S1000F use the iconic engine from the GSX-R1000 K5, packed with grunt and with bags of character. Both GSX-S feature a three-stage traction control system and Suzuki’s easy-start system. A lightweight aluminium frame is mated to a GSX-R1000 L5 swingarm, with stopping power coming from Brembo monobloc calipers and a commanding riding position enhanced with a Renthal Fatbar. For more information on the Suzuki range and current offers, click here.